Whoever said regrets were bad? At times, they give you a sense of direction & help you realize what you missed. I always thought I had no regrets in life. But I do! Lately, I’ve begun to feel a vacuum in my heart for not being the traditional Indian woman, who knows all the festivals like the back of her hand & who actively initiates it in her home. Connie celebrated the Chinese New Year & my neighbors stayed up late to do an elaborate rangoli on Sankranthi. And here I’m who can’t even make a star! Traditionally, festivals served as important markers of the passage of time. They were centered on farming & harvesting rituals - a time for celebrating the present & hoping for a better future. Nature was revered because rural livelihood was dependent on its whims & fancies. As we moved away from farming towards other, more modern ways of living, for sustenance, the reverence gradually took a beating & gave way to cynicism & questioning. The likes of me who moved away from the villages failed to understand & appreciate their significance in our cultural & social ethos. For instance, as I started earning in the city, buying clothes no longer meant waiting. Why wait for Diwali, Ugadi, Sankranthi for new clothes? I could now buy it every week & for no reason at all than that I wanted to & had the money for it. None of my clothes have a story. My mother’s saris did. Nothing beats the joy that comes from waiting for an occasion & shopping as a family. Growing up, I didn’t take an interest in rituals. I loved the festivals, sure, but remained only an eager & enthusiastic observer. Though I enjoyed watching the proceedings, the hustle & bustle, the guests, the decorations, the new clothes, the sweets, I never joined my mother in carrying out the activities. Everyone seemed to scheme to make you do ‘weird’ things. I wish they had explained why I was supposed to do it. Even if they hadn’t, I now feel, I could’ve taken the trouble to find out. But I didn’t. As a teen, being forced to do things put me off them completely. The rebellion was misdirected. What would I have lost in following the customs? People like me spell doom & the end of all these lovely practices. The next generation would only read about them in books. It’s gratifying that these beautiful traditions, by which we are known to the world, are still alive & vibrant in rural India & nicer still, to see that at least some in the cities are continuing them. Malleshwaram 8th cross comes alive during festivals - the excitement on people’s faces, young & old, while they festival shop, the energy in the air, the goodwill, the streets lined with the colorful wares - is to be seen. I know not, if Indian culture is ‘the best’ but I do know that we are beautifully different. The reverence has gone, should the enthusiasm go too? Let me make a conscious effort to learn & celebrate them. Come Ugadi this April, I’ll do all the poojas, make the sweets, fill my home with the fragrance of incense & do all the other things too – myself. I’ll wear a sari, jasmine flowers in my hair, & 1/2 a dozen bangles on both hands! Sathya had given up hope of ever seeing his wife say or do these things & I know he’ll do anything for one glimpse of seeing me so. If he ever reads this post, he is going to be one hell of a happy but shocked man. Hope it is not too late to start something I never did before. The little joys of a simple life! "None of my clothes have a story. My mother’s saris did." Oh my goodness....save those two lines for the novel you write!!! Watching my mom change our home into this surreal place where everyone wears new clothes,looks their best,eats the best and has family and friends around has been one of the best memories of my lives.The woman was just great.I havent been able to compete with her yet,but hopefully will do it.You should,Tanvi will never forget the day. Great. Its never too late to start something new. yes Akshay i am all charged up! hahhaha you mean a post on Ugadi with the snaps especially for you?! oh god! obbattu right? one of the most difficult ones to make!! Festivals and related celebrations have sociological relevance. They bind the families and friends together. There is no meaning in applying rationality in the observance of such unique traditions and customs in everyday life. Good article Sujatha! isn't it! better than 'never'! it can be difficult all of a sudden to actively take part in the celebrations with utmost sincerity but once we get the feel of it, we enjoy every bit of it and we realize that these festivals rock. Regrets, there are only 2 kinds people based on regrets, one who expresses it and another one is who hides it ! Dear ma'am no need to feel regret , jab jaago tabhi savera, you should be happy that no one forced you learn all those thing n today if you want to learn something.that is purely your decision which you should proud n give a best shot to surprise Sathya sir who can not believe in his dream that Sujatha can surprise me like this ...so go ahead n give shock to him so he can cherish this surprise throughout his life. All the best for Ugadi! Its great that you want to celebrate, that's the most important thing. As long as it makes sense to you and you have a reason to celebrate, it is never too late to start something. I do not see a regret here.I see that some one has identified a want and has an urge to learn. Which is good. Not all regrets are good Sujatha. Some actions come with an expiry date. What if a killer has a regret? He cannot bring the life back. Such regrets are cute and colorful. If you want, you can involve Tanvi also. omg! i never thought on those angles at all ...the killer & all ! I agree regret is essential. It sure does gives a wake up call. nice post....it set me thinking...like u i too dont much relish rituals & all the nitty- gritties connected with celebrations....but yes we-such folks- do miss the enthusiasm & bonding which does serve to break the monotony & preserve family ties.perhaps u have converted me too. I would disagree with the title of the post: It's not regret, It's awareness or experience. The meaning of festivals change over time of a person: when I was small Diwali meant burning crackers,eating sweets, when I was in college it meant holidays, now when I have children it means teaching them the value of festivals and through cleaning of the house(which I hated when I was growing up and my mother forced us to help out). Festivals are great as they break the monotony of daily grind. They made me realize to enjoy the present and be thankful to the Almighty that I can celebrate it with my family and hoping that my children get the same pleasure. u got me thinking... for now I'm an eager & enthusiastic observer like u used to be.. after reading it..a lil change in my perspective. pachadi - is that telugu word? I rarely follow rituals too :D And, I feel a bit weird about it, but I think am not cut out for it and have accepted it. I still am not somehow in the festive mode. I had also blogged last year about how I am a perfect festival downer. I still think I would love to do all the making/baking/ shopping for personal ocassions. Birthdays, anniversaries and such. I think as a family grows, there are quite a few such ocassions too, and I would love to remember a dress as my 26th birthday dress rather than 2007 diwali shopping. yeah of course. i get that Aathira. for over 3 decades that's how even i thought too. So, did he read the post? he and reading?? naah...he never reads - anything....at all...!!!!!!!! so i guess a surprise awaits Him then .. good goood .. I hope you take some pictures then and show us tooo .. Most of the readers would relate to your post.We cling to just form and the content is missing.Some have lost their relevance too. Nice to know Ugadhi is promising to be a happy festival with surprise for Sathya and with contentment for you. sad na? 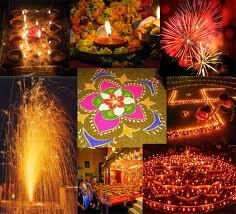 some of the traditions are beautiful & i all along was shunning them! I am sure that you are going to celebrate it in a great way .Happy Ugadhi to you and looking forward to your post on it. Beautiful words and well worded. I loved your Love to HAte post too and many many more. Just as you mentioned, I rarely follow rituals once away from home. Go ahead. Give them the shock even before he reads this. They'll love to see the change. 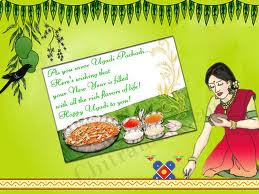 Happy Ugadhi to you and family. Beautifully Written Sujatha, completely co relate with it. With easy life, we no longer tend to identify with the content of the festivals but surely go way out to put up a show of pomp. 'We are beautifully different!' Very nice and convincing point. poore ek saal ka course ? bapre!! itna hai kya seekhne ko! This is conversion in reverse -- from modernity to tradition. Loved the sentiments brought our so beautifully here. lovely thought process...and I see this trend more now..and i am happy to see it..
all this leads to self-discovery, and to make others happy is certainly a way of evolving ! hmmmm yes i think so! The depth and breadth of this discussion here is probably an indicator of how strongly this topic resonates with all of us, Sujatha. I have this same problem of not subscribing to tradition, yet feeling that I am not doing what is required to provide the future generation with a sense of rootedness. I also believe that our kids are smart enough to figure out how we truly feel about traditions. What is perhaps necessary is to rediscover value and meaning in our traditions for ourselves first. It is not so easy. Nostalgia and memories are not good enough motivation, what they bring is still a superficial adoption of tradition. We need to discover the universal principles that guide our traditions, e.g., bowing, doing namaskara or touching the feet of elders, or making rangoli, or putting certain flowers in the hair, and then be convinced ourselves of the value and not do it for the sake of "preserving tradition." This will also let us filter out a lot of stuff that is no longer relevant or practice-able in this day and age and be able to explain our behavior to the kids of tomorrow based on reason, and not servitude to the past. Wish you a wonderful February. very true Subho you've said it well. You are all set for a big change in your life. Traditional values do matter a lot in our lives & it feels great to see an urbanite doing all the talking about her longing for traditions and customs. Hope, you catch up with the traditions in ur way and never regret for your late change for every change is a change, no matter how big or small.......ALL THE BEST!!!! yes Sriram, change whether big or small doesn't matter,the intent behind it does. thank you for your lovely response. Hi, nice blog & good post. You have beautifully maintained it, you must try this Indian Travel Agency website which really helps to increase your traffic. hope u have a wonderful day & awaiting for more new post. Keep Blogging! Hello Flexi, thank you, m glad you liked the blog & this post. The reason of this detachment from the rituals among us (the present generation, me included) which I can think of is..we look for reason for doing things many times. In the age of science and technology, we look for logic and reason for doing things and it is tough to just accept blindly the traditions which are old and which does not appeal to us on some level. For me, its the time spent with the loved ones on these occasions, which is worth it. But, then time spent with your loved ones at any time is beautiful. hey i believe its ok if you do not believe in rituals and stuff...you don't have to force yourself for something you really do not consider important .. but that's again a personal thought ..
all the best for Ugadi!!! Whatever you do, if you do wholeheartedly, the happiness is felt more, Sujatha. Even our generation celebrate all the festival promptly, some without knowing why we are celebrating each and every ritual connected with it! But we follow. I think it brings some discipline in us. Otherwise, we will get up in the morning, go to office, come back and eat the same things each and every day. In our festival, we prepare different dishes and it brings a change in our routine. Anyway, all the best to you and Sathya and happy Ugadi! that is very true Sandhya one should do wholeheartedly. Yeah do that and post the picture. No one from our generation celebrate festivals that meticulously. I too think that our generation is far away from following all those rituals and festivals... I thought many of them were silly and waste of time/resources and I still think so! The point is, if we get something during festival time (alone), it will definitely be fun. But when the exclusivity is gone, the fun is gone too. And do it. That will be a great surprise for your hubby. I love dressing up in a sari with all the bangles etc. only for festivals like diwali, karwa chauth. I make rangoli too after diligently seeing a design from the net. The point is do all the things that your heart enjoys then there is fun in rituals. Don't do them if you feel sick of them :). yeah all these years i never did anything because i just didn't see the point! Your writing is so vivid that I have already started feeling the fragrance of sweets. A post as wonderful as the festivals themselves. Beautiful post, yet again! But, Sujatha, you can still do all that you couldn't and have no regrets at all.. ...Reflections...reflections...I'm mirrored in wondering ' The reverence has gone, should the enthusiasm go too?' Liked it!! Everything you have said in your article is very true about our generation. We just take all our rich indian traditions and cultures very easy and go on live a lifestyle which has a temporary amusement in it. You are absolutely true that we must try and respect our rituals and colorful traditions which we follow during our festivals. The excitement we find in buying things occasionally when required is indeed something very different than the kind of excitment we find in doing the same shopping often in our life. Wearing a beautiful saree and adorning oneself with all the precious gold and jewellry gives us a stunning look which lacks in other dressing style. I must say you have penned all your emotions very beatifully and also awakened us on this matter so that we dont regret on the same later. Thank You. Do you know why the festivals are being celebrated so elaborately and with your near and dear ones? It creates an atmosphere of Love and affection, sense of sharing, provides opportunity for your artistic flair to improvise on colourful decorations and last but not least to develop the much needed sense of fellowship among the relatives as well as neighbors. It is never too late for starting anything Good. Nice Post. Dear Saras, when i read the words "Ms. Sujatha, do you know why..." i thought you are going to scold me!!!! We do have a lot of festivals and traditions and I am very much apprise your saying that " I wish they had explained why I was supposed to do it. Even if they hadn’t, I now feel, I could’ve taken the trouble to find out. But I didn’t. As a teen, being forced to do things put me off them completely. The rebellion was misdirected. What would I have lost in following the customs? " Every other day, we have a ritual or a festival and each one is different, the only thing is we don't take the trouble of finding out why and what are they for. And it's never late to start anything - In this manner at least the future generation carries over something if not everything right! what pics? those 2 images are from google!! what is so nice about them? did u read the post or not??? "None of my clothes have a story. My mother’s saris did." - wow, sounds to familiar and so true. And this one sentence just said the whole thing! right. that's what has happened with me. Wow.Such an eye opener! Such an amazing post! I think you are doing excellent work,spreading word about forging our tryst with traditions building it even stronger. I loved these lines. They're so meaningful and powerful!!
" Why wait for Diwali, Ugadi, Sankranthi for new clothes? I could now buy it every week & for no reason at all than that I wanted to & had the money for it. None of my clothes have a story. My mother’s saris did. Nothing beats the joy that comes from waiting for an occasion & shopping as a family." We can treat our taste buds as well!! Your blog took back to my childhood days, when I used to go to Malleswaram 8th cross, holding my mother's hands tightly. And... Hoping to read your post post-Ugadi!! Boss.. Ugadi without pickle is not Ugadi.. Making of Ugadi pickle is 'beautifully different'..
is it so? never heard of it! maybe it depends on the region/community. I think it's nice to keep the traditions of your country alive. The world is a beautiful place cause there are many different traditions, rituals...it's so interesting to know them all ! Sujatha, damn jealous of your comments sequence ;( reveal me the secret! this post is full of nostalgia..I remembered my childhood days of getting new clothes on diwali,playing blissfully in colors in holi,those independent day kite-flying and republic day telecasts on DD1...traditions are cherished memories and I agree the next generation might see them only in books..republic days and all are celebrated only in social n/w sites now!A status message,few likes or comments and thats it!perhaps it's too much of the metro daze that putting us away from our traditions!! republic day only on social n/w sites - yeah true, isn't it! sad! mind mein kuch nai aa raha !! hey thanks a lot Alka. Times change and with them, the customs. The only New Year at which the entire nation goes bananas is the one that conforms to the Gregorian Calendar, surely a sign of change in times. Yet, at times, the age-old festivals bring wafts of nostalgia with them. lovely post! totally enjoyed reading it!